By conducting a full body assessment we help identify if there are other factors contributing to your pain. Our hands-on treatment approach will be used to alleviate your pain. 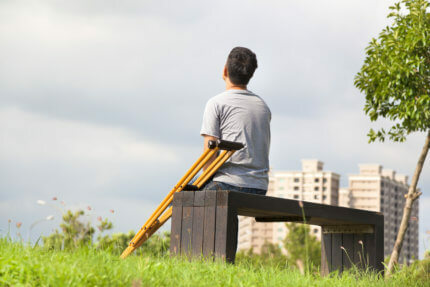 A customized mobility and strengthening program will be implemented based upon your stage of healing. 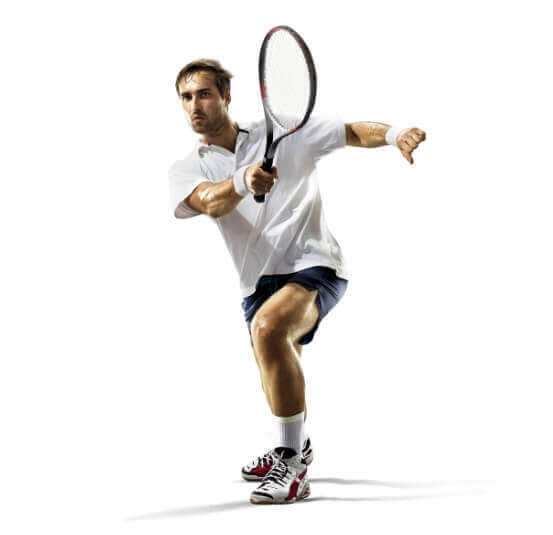 Your individualized treatment program will be tailored to your specific goals and needs. Our objective is to optimize your recovery and function through decreased pain, improved mobility, and injury prevention. "In my short time at Bay State, my life changed so much. The hip pain that I carried around for 20 months after the birth of my baby is now gone. Justine has helped me be able to live a normal life and chase after not only my own children but also the sixty middle school students I teach. I never knew I even need physical therapy until the day that I was able to get out of my bed and did not feel any pain. Justine was not only a great physical therapist she is also a great person to be around she called me by the first name and always remembered things I told her and was always sure to ask follow up question the next time I was in therapy which made me feel great." "After having surgery for a fully ruptured Achilles I was grateful to have found Meghan at Bay State PT. She is someone who is patient, outgoing and knowledgeable. I feel these qualities put me at ease and helped quickly get be back on the road to recovery. She is very personable and I enjoyed our conversations during our sessions about the latest happenings around Southie as well as some of the best places to travel to. I would recommend Meghan and South Boston Bay State PT to any of my friends and family." 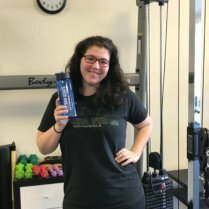 "I had a lot of subpar experiences with other physical therapy locations, but eventually (and thankfully) found Sarah Freitas at the Rockland Bay State Physical Therapy location. From the first appointment, I knew Bay State PT and Sarah were the perfect fit for me. 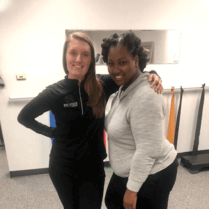 Not only is she a great physical therapist who caters to each individual’s needs, she takes the time to get to know you and pushes you to get better while also adjusting the program based on your feedback. She truly wants you to succeed and get better, and takes the time to explain the recovery process to you in a way that is easy to understand. She is attentive and always fun to talk with. I wouldn’t be where I am without her and am so grateful! I highly recommend her and Bay State Physical Therapy!" I can't recommend Mat at Bay State Physical Therapy Burlington enough. My 15 year old son had a complete ACL reconstruction and a meniscal repair. We started PT a month before his surgery and they got him 100% ready and in the best possible shape he could possibly be in. He is now able to play sports again! Our surgeon is extremely pleased every time we go for a follow up. Their work and laid back atmosphere makes it so welcoming to an unfortunate situation. From day 1 I've felt comfortable and so happy with his recovery. Bay State PT is flexible, patient, kind, caring, reliable.. I could go on and on! - Kristen O.
I don't know how I would get through this pregnancy without Jaime Gross! She had been an absolute lifesaver! I had such a hard time finding anyone who treated SPD and I couldn't ask for someone more knowledgeable and experienced! I will do to her for any PT needs for life! Tim - I’ve been meaning to write you and thank you for your help, running tips and super helpful PT in prepping for my first marathon. 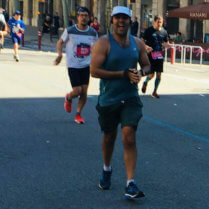 I completed Barcelona a month ago now and it was a great run - didn’t quite hit my goal time this time around but that just means I’m going after it again (got to 4:11). The legs and feet were good and recovery wasn’t too bad after the first couple of days. Couldn’t have done it without your help. Feels good to have crossed the 26.2 threshold and am looking at fall races now... Thanks also for helping out my cousin in law Heather, I know it’s been a big help as she gears up for Boston on Monday Here’s a quick pic my wife took at mile 25... Thanks again! This specialized form of treatment helps to reduce swelling, improve joint mobility, and mobilize soft tissue in order to decrease pain and increase your range of motion. 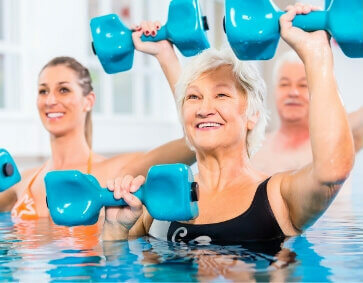 Experience reduced pain and improved movement and balance while you perform a higher level of functional exercise in water. 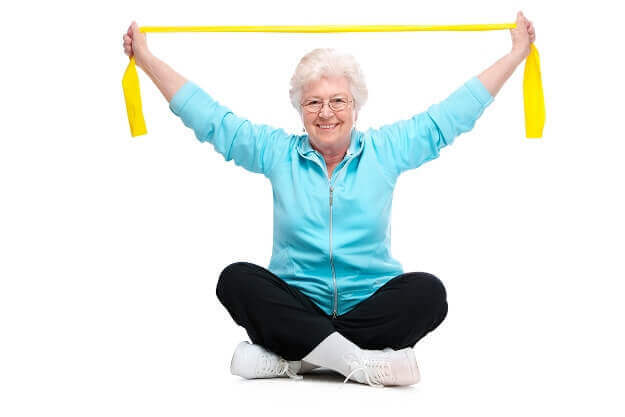 Designed with the specific health needs of women in mind, our physical therapists treat with a unique focus on your health and holistic healing. If you answered “yes” to any of these questions, call your nearest Bay State Physical Therapy clinic or fill out the appointment form. 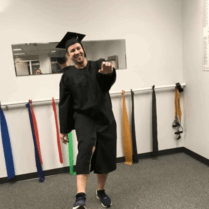 One of our qualified Physical Therapists will walk you through an evaluation, target your problem, and provide a customized treatment plan for you. Check out various e-books on pain relief. We have exercises that you can try today that will help you achieve relief. Click on the button below to download your copy today.